Now I know my ABCs, won’t you come and draw and learn with me? 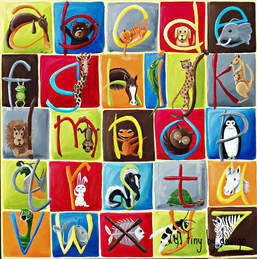 Make the alphabet come to life through a wide variety of arts and crafts and movement activities. Alphabet Art will expose your budding scholar to learning letter-sound relationships, letter formation and sensory experiences. Get ready for an adventure! Taught by a local Kindergarten teacher. ​Please register by June 14th.